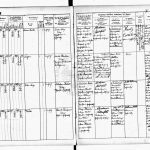 This page is an attempt to document the known origins of the Richler family and details about the earliest generations. When I starting asking about where our family came from, back in the late 1980s or early 1990s I was told that my great-grandfather Nathan/Nussen was born in Austria. Now that we have access to records, I can be more precise. 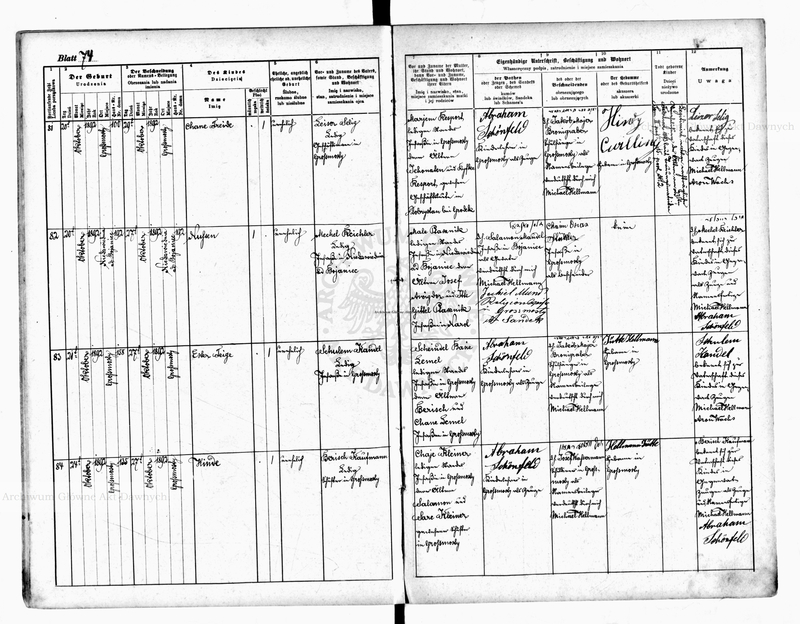 Thanks to the JRI-Poland Project (Jewish Records Indexing) for this information. Nussen was registered in 1892 in Mosty Wielkie. JRI-Poland provides these coordinates for where this would have been located: 50°14’ 24°09’. Comparing Nathan’s birth location with his siblings gets us closer to where the family actually lived. Shmarya was born in 1877 and registration said the town was Niedźwiednia. I can’t find this on a map. 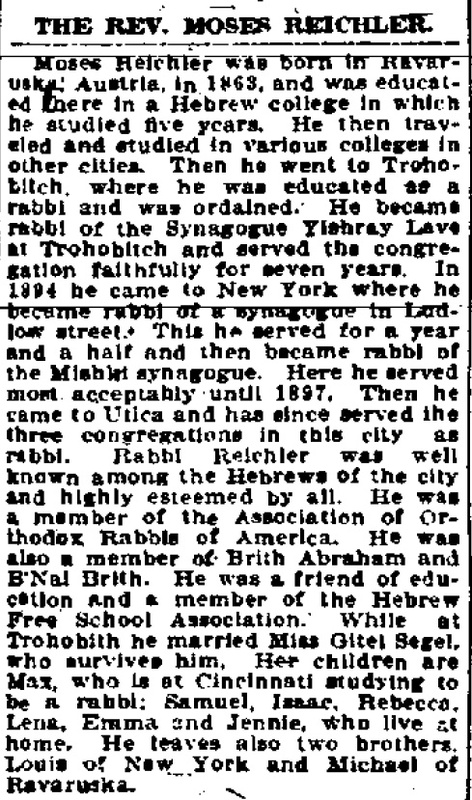 It is the same town for Jacob Simcha in 1879 and Samuel Wolf in 1882. When we get to Nussen in 1892, it says Bojaniec/Niedźwiednia/Narol. Narol is in Poland, about 80 km from Boyanets, Ukraine – assuming that Boyanetz = Bojaniec. 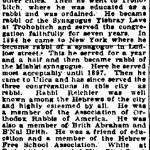 An earlier mention of where the family came from is a obituary of Nathan’s uncle, Moses Reichler who was the rabbi in Utica, New York from the late 1890s until his death in 1905. The obituary stated that he was from Rava-Rus’ka which is about 60km by road from Mosty Wielkie. Narol is about 35 km from Rava-Rus’ka. This tells me that the family’s origins were in this area and between generations there may have been some movements between towns and villages.